Quick and easy to fit soft cover case featuring a funny cute Kitty Cat design. A great way to show off your style while using your smartphone. 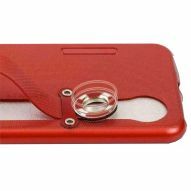 The case is quick and easy to fit on your device, just slip inside the smartphone and it's held securely in place. It allows full access to all the phone's ports, buttons, cameras, switches and chargers.